It's not all about shopping. 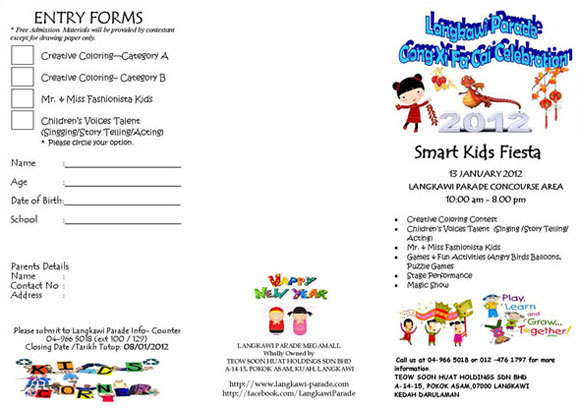 Langkawi Parade MegaMall hosts numerous events throughout the year for your enjoyment. From promotional fairs to live performances, we like to help you ring in any special occasions or holidays. Whether you're a Langkawi local or a tourist passing through on your Langkawi holiday, there is always lots to do and see at Langkawi Parade Megamall. Check back often for the most current information on our events. We would love to see you here! 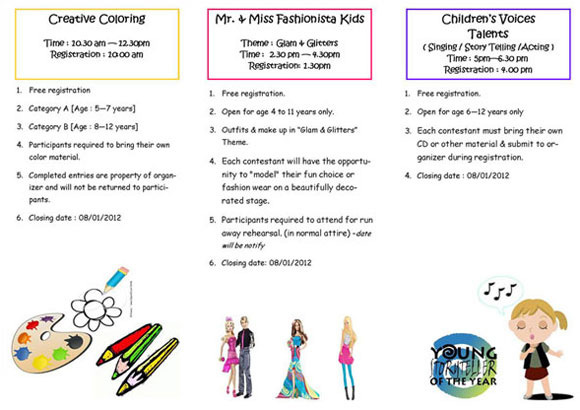 Each contestant will have the opportunity to “model” their fun choice or fashion wear on a beautifully decorated stage. A-14-15 Pokok Asam, Kuah 07000, Langkawi, Kedah Darul Aman, Malaysia.